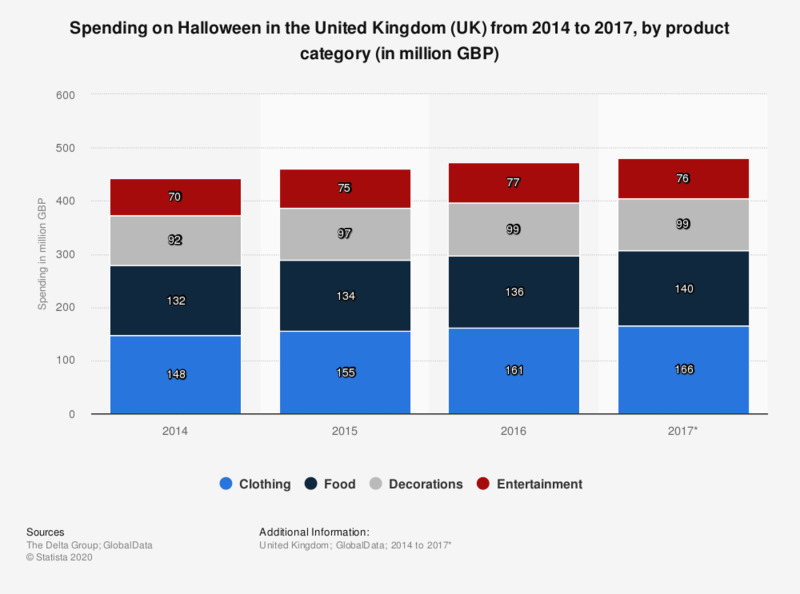 This statistic shows the consumer spending on Halloween by product category in the United Kingdom (UK) from 2014 to 2016, with a forecast estimate for 2017. In each year during this period, spending on Halloween clothing was the highest across the various categories, at an estimated 166 million British pounds in 2017. In comparison, food spending was estimated at 140 million pounds that same year, while spending on decorations and entertainment was forecast to reach 99 million pounds and 76 million pounds, respectively. * Figures for 2017 are estimated.